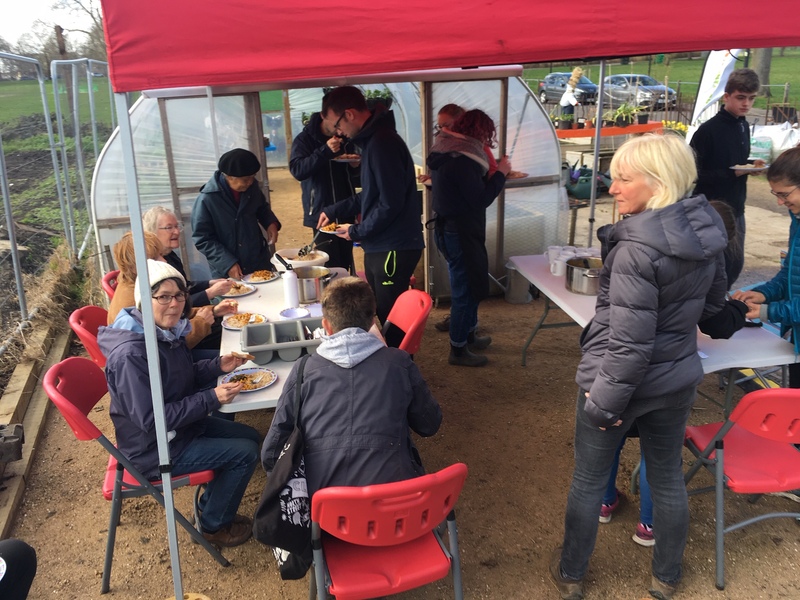 Wow, we’ve had a busy year so far, feverishly getting our garden ready for the growing season ahead – and there have been some major improvements to our community garden. 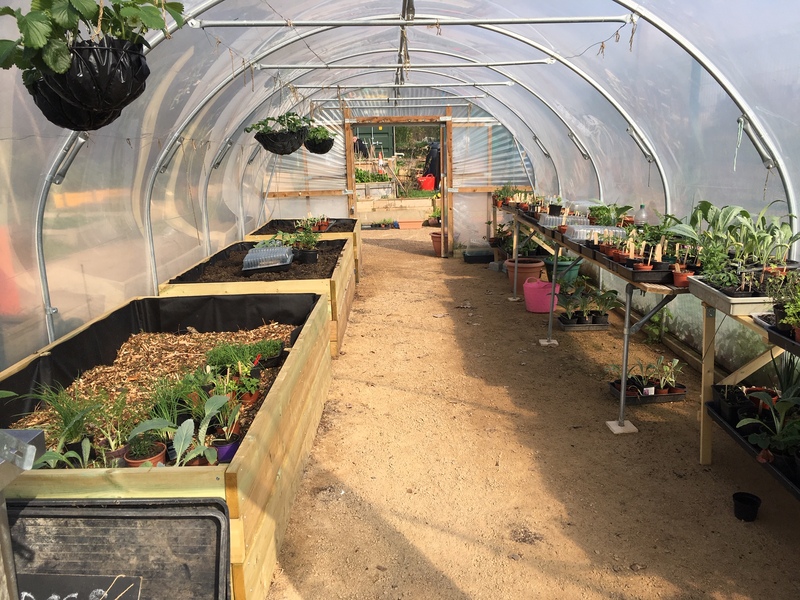 From money raised through donations for our pickles and garden produce, along with £2,000 grant funding from Tesco Bags of Help, we’ve installed a new floor in and around or polytunnel making it accessible to everyone. A level floor at last! 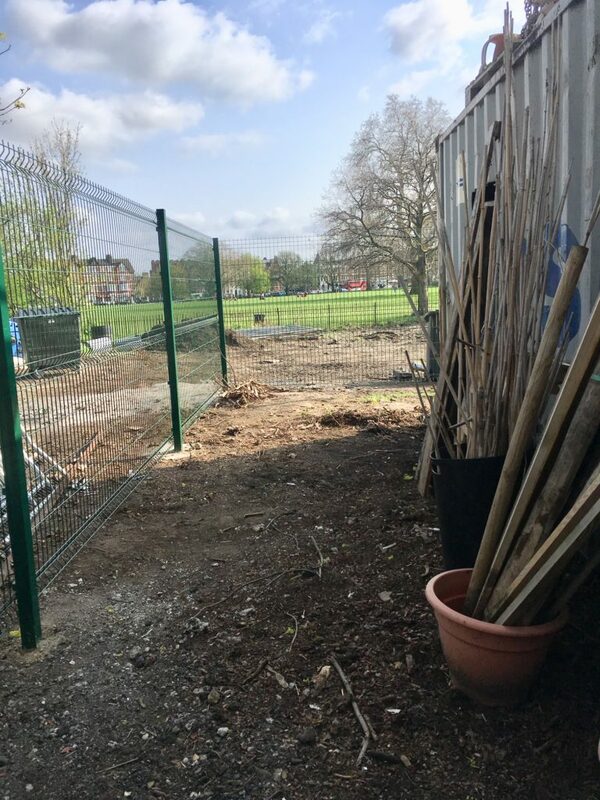 Money raised through Lambeth Council’s levy on events on the Common has been used to make improvements to the green waste site, including installing a new fence along the boundary of the garden. The old, rusty shipping container has been removed, giving us an extra piece of land at the rear of the garden. This would be an ideal spot for us to install a composting toilet, something we desperately need with so many people now taking part in our gardening activities. If we can get permission from Lambeth Council to do this, it will be our next fundraising project. 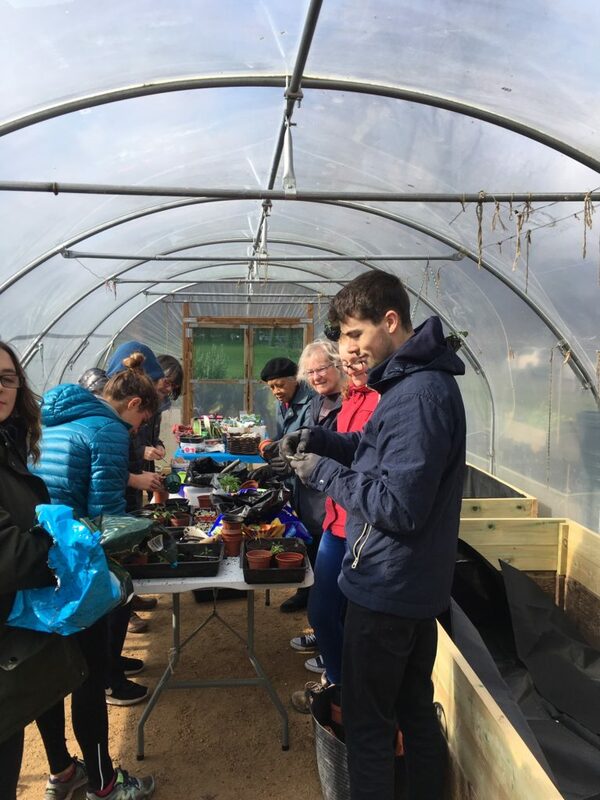 With the weather warming up, our garden’s a hub of activity on Saturdays with lots of seed sowing and beds to prepare for the growing season ahead. And as the weeks pass, we will start to have fresh veg and plants available on our produce table, if you fancy dropping by to pick some up*. 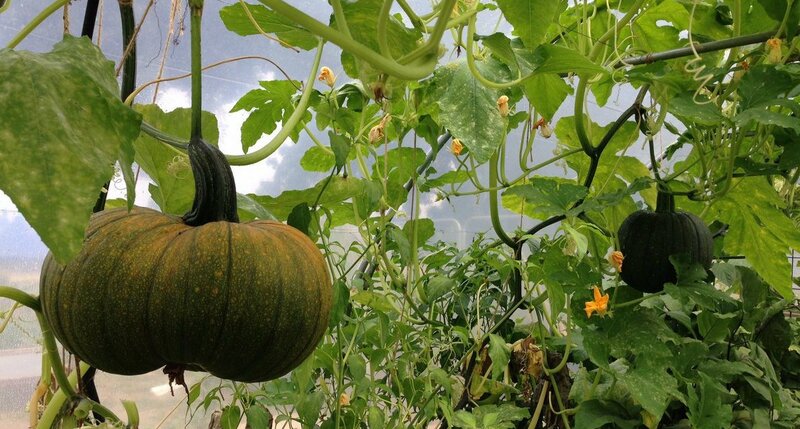 Or perhaps you’d like to grow your own veg? If so, our garden’s a great place to share and discover tips about gardening. We meet on Saturdays from 10am until around 1pm, and later during the summer. We always round the mornings off with tea and cake and often have lunch together*. 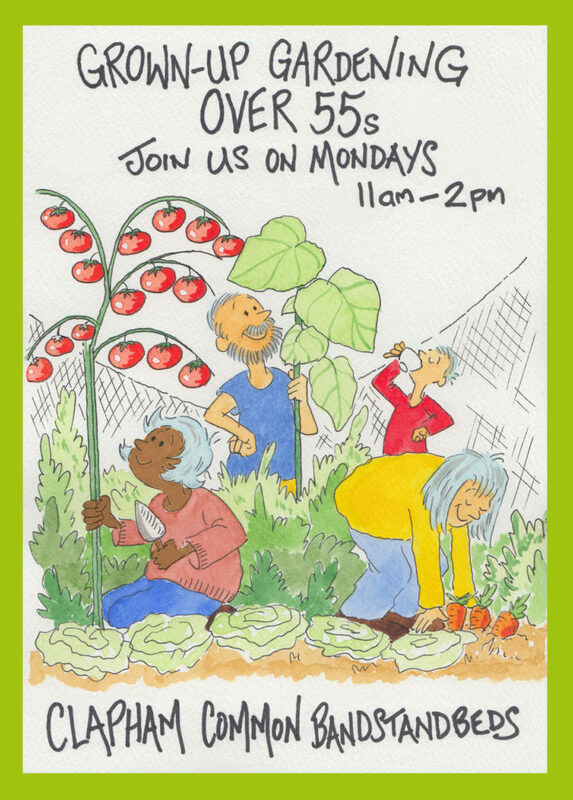 Also, on Mondays we run a 55+ gardening session and now the evenings are lighter we meet on Wednesday evenings from 6pm. And that’s not all, we also work with CCMAC on the Colour Your Common wildflower project on the opposite site of Windmill Drive to our garden and hold lots of workshops and events throughout the year. Our next will be a Walk on the Wild Side Picnic followed Gardening with Fungi – for more information click on this link. 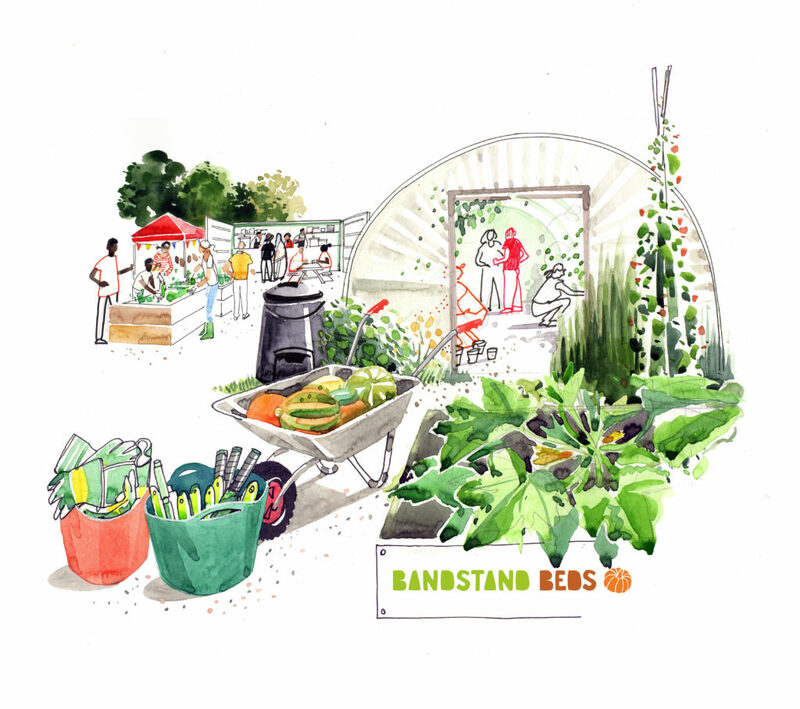 All in all, there’s always a lot going on at Bandstand Beds and you don’t have to be a gardening expert to become a member of our organisation. * Our garden is volunteer led and self-sustaining. Produce and lunch is available for a donation, and this money is used to keep our garden growing.